Retired Chicago homicide detective Jack Starkey is living what he calls every cop’s retirement dream by owning a successful bar, the Drunken Parrot, and residing on a houseboat in Fort Myers Beach on Florida’s Southwest Gulf Coast. Mostly, it’s been working out just fine. Starkey’s drink of choice these days is diet root beer and not the hard stuff that ended his marriage and sent him into rehab. He’s dating the lovely Marisa Fernandez, who owns a real estate agency and supplements his usual diet of Pop-Tarts and diner food with gourmet Cuban cooking. But long-term serenity has never been Jack Starkey’s destiny. One evening, Starkey’s pal Cubby Cullen, the Fort Myers Beach police chief, comes into the Drunken Parrot to ask a favor. The Coast Guard found a sailboat drifting in Pine Island Sound with two dead bodies aboard, a bank president and his wife, both shot once in the forehead execution style. Murders are rare in town; Cubby asks Jack, who has more homicide experience than anyone in the local police department, to take a look at the crime scene just to offer an opinion. Starkey agrees, not realizing that this will draw him into an investigation involving offshore oil drilling in the Gulf of Mexico, corrupt state politicians, a Russian oligarch, and the angry father of a boy who’s not getting much playing time on his Little League team. Even in his prime, Starkey would be hard-pressed to find a connection, and his prime is in his rearview mirror. 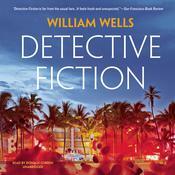 This mystery follows in the tradition of John D. MacDonald, Carl Hiaasen, Lawrence Sanders, and other masters of crime fiction marked by compelling characters, stories with completely unexpected twists and turns, and a strong comic element that will keep a reader thoroughly amused while wondering what could possibly happen next. Retired Chicago homicide detective Jack Starkey is living what he calls every cop’s retirement dream by owning a successful bar, the Drunken Parrot, and residing on a houseboat in Fort Myers Beach on Florida’s Southwest Gulf Coast. Mostly, it’s been working out just fine. Starkey’s drink of choice these days is diet root beer and not the hard stuff that ended his marriage and sent him into rehab. He’s dating the lovely Marisa Fernandez, who owns a real estate agency and supplements his usual diet of Pop-Tarts and diner food with gourmet Cuban cooking. But long-term serenity has never been Jack Starkey’s destiny. One evening, Starkey’s pal Cubby Cullen, the Fort Myers Beach police chief, comes into the Drunken Parrot to ask a favor. The Coast Guard found a sailboat drifting in Pine Island Sound with two dead bodies aboard, a bank president and his wife, both shot once in the forehead execution style. Murders are rare in town; Cubby asks Jack, who has more homicide experience than anyone in the local police department, to take a look at the crime scene just to offer an opinion. Starkey agrees, not realizing that this will draw him into an investigation involving offshore oil drilling in the Gulf of Mexico, corrupt state politicians, a Russian oligarch, and the angry father of a boy who’s not getting much playing time on his Little League team. Even in his prime, Starkey would be hard-pressed to find a connection, and his prime is in his rearview mirror. 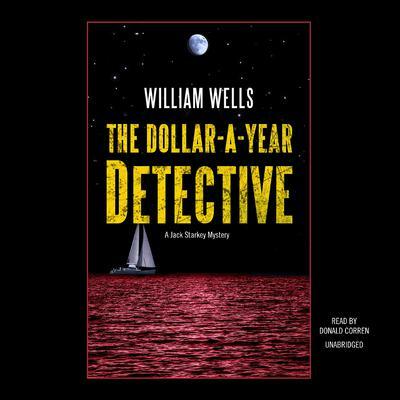 This mystery follows in the tradition of John D. MacDonald, Carl Hiaasen, Lawrence Sanders, and other masters of crime fiction marked by compelling characters, stories with completely unexpected twists and turns, and a strong comic element that will keep a reader thoroughly amused while wondering what could possibly happen next. 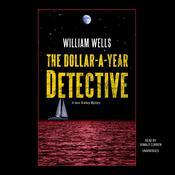 William Wells graduated from Hamilton College, served aboard a naval destroyer, and has worked as a radio disc jockey, newspaper reporter, author of an internationally syndicated comic strip, speechwriter for the governor of Michigan, and marketing agency executive before founding a custom publishing company.